Inspired by a campaign to save ailing WWII heritage site Bletchley Park , comedy writers and performers are joining forces with computing professionals to put on an evening of what they’re calling “buffoonery for boffins” - or “Boffoonery” for short - in London on November 3rd. Jason Gorman, a software engineering consultant from London, was looking for a way to raise money and boost support for the campaign to save Bletchley Park. Gorman, whose clients include the BBC and City Index, contacted James Cary, the writer of cult BBC Radio 4 comedy Hut 33, which is set at Bletchley Park during 1941. Cary, whose other writing credits include hit BBC TV comedies My Family and My Hero, as well as award-winning comedy series Think The Unthinkable, proposed organising a comedy benefit, with Cary handling the writing and creative duties and Gorman handling the production side of the show. The Bloomsbury Theatre, which has staged comedy and charity shows for Ricky Gervais, Eddie Izzard and Harry Hill, was selected as the ideal venue. The show will include stand-up and sketches directed by veteran TV and radio comedy producer David Tyler, as well as a charity auction organised by the Bletchley Park Trust. Both Gorman and Cary had strong ideas about the kinds of comedians who would be right for a show built around the themes of code-breaking, cryptography, mathematics and computing. “The challenge for us as producers has been to find smart comedians who can take these dry subjects and breathe life into them, making them laugh-out-loud funny and accessible to a mainstream audience” says Gorman. Already confirmed for the show are Robert Llewellyn, best known as Kryten in Red Dwarf, and a self-confessed “amateur geek”, Richard Herring, who GQ described as “the best comic of his generation”, and Robin Ince, who has pioneered a unique blend of comedy and science with his School For Gifted shows. As the show takes shape, more well-known names from the worlds of both comedy and science and technology will be added to the line-up. Tickets go on sale on August 12th at 9am, and all profits will go to Bletchley Park. See www.boffoonery.com for details, or follow @boffoonery on Twitter for updates. The original IT contractors of Bletchley Park, who designed the first ever programmable computer and broke the German military’s ‘impenetrable’ Enigma code, are to be celebrated in a comedy tribute at London’s Bloomsbury Theatre on 3rd November 2009. Called Boffoonery – ‘buffoonery for boffins’ – the high-profile gig will include comedy stars Robert Llewellyn, Richard Herring and Robin Ince, among others. It has been organised by IT contractor and software developer coach Jason Gorman, to raise funds for the historic National Codes Centre at Bletchley Park, which saw the birth of computing during the Second World War. Bletchley Park, the secretive mansion that housed Britain's Second World War code-breaking effort, has a lot to celebrate. 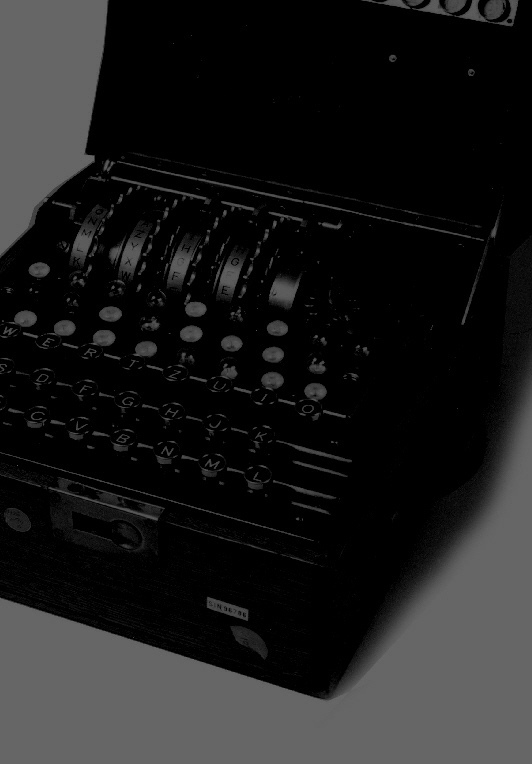 As well as shortening the war by cracking the Enigma code, it nurtured the brilliant mind of Alan Turing – the leading cryptanalyst, inventor of the Turing Test (without which we may not have Blade Runner) and father of modern computer science (without which many of us may have been unemployed). It was also home to the world's first programmable computer.